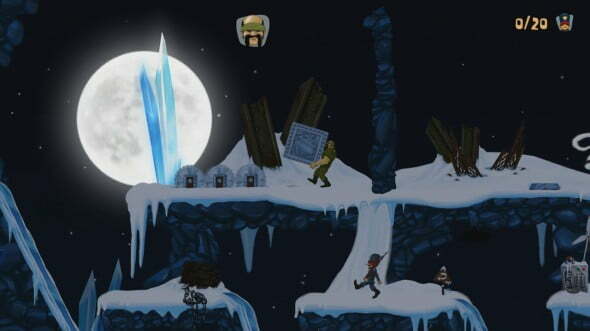 Bloober Team developed the first A-Men title for the PlayStation 3 and Vita as call to harken back to the retro classic gaming that featured heavily in older titles like Lost Vikings and Lemmings. As a launch title for the European Vita launch, A-Men stood out as an interesting title but 18 months passed before the North American release which left A-Men sitting overshadowed in a crowd of top games. A-Men 2 is likely to receive the same kind of fanfare as the North American release of the first title because little has changed but difficulty. Each member of the team comes with a unique ability to solve puzzles such as carrying heavy objects or shooting bullets. 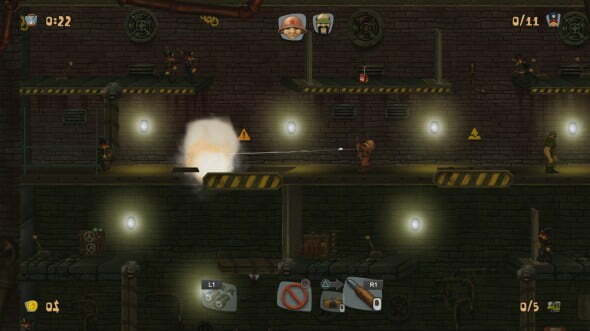 At its core, A-Men 2 centers around moving a team to an escape point on each level by cycling through the members of the team to pass puzzles and enemies. Players can only control one member of the team at a time which complements the fact that each member has their own set of unique skills. The Looney Tunes style puzzle solutions such as dropping boulders on enemies fit the cartoonish look and character design that is a mix of the Christmas-y nutcrackers and marionette puppets. The brightly colored level designs carry a toy box aesthetic. A-Men 2 is a bit more like an expansion pack rather than a full fledged sequel. The first game was apparently criticized for being too easy and Bloober Team designed A-Men 2 to answer those critics keeping the core game the same but ratcheting up the difficulty. The comparison between the two games is very much like the Japanese sequel to the original Super Mario Bros. later released as The Lost Levels. The Lost Levels is well known for looking and playing exactly like the original while implementing level design that was deemed too difficult for release outside of Japan until seven years later as a part of the Super Mario All-Stars compilation. Puzzle difficulty starts off hard and quickly escalates to insane. 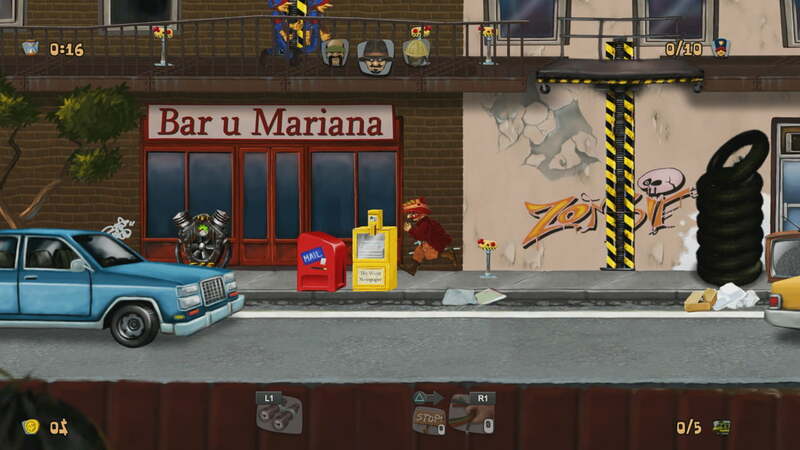 A-Men 2’s difficulty does not stem only from level design. The game drops players into the game with minimal tutorial help from a couple floating tooltips leaving a little bit more credence to the expansion pack feel. The player is left with a task of overcoming a huge learning curve compounded by the platforming portion of A-Men 2 suffering from less than precise controls that lead to missed jumps and often times multiple deaths. Even simple mechanics like grabbing a ledge from a jump often time fail if not precisely dead on. Since the game centers around puzzles and timing, the controls impreciseness often times lead to an awkward second guessing and wasted time trying to find non-existent ways to proceed. A-Men 2 carries with it a charming aesthetic and classic gameplay style that is weighed down by control and difficulty issues. The issues create a rather large learning curve and barrier of entry into the series for new players. Even players familiar with the first game will find themselves stumbling as they re-familiarize themselves with key gameplay concepts since the game avoids any serious easement into its realm of consistent difficulty. For new players, picking up the first game is a strong recommendation before even attempting A-Men 2.